September | 2008 | Lights. Camera. Life. 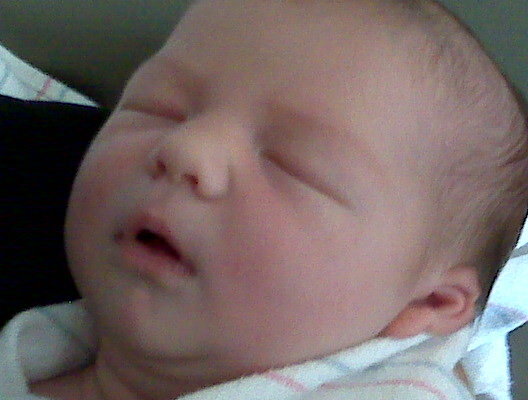 Just over a week old and already providing us with an overdose on cuteness. 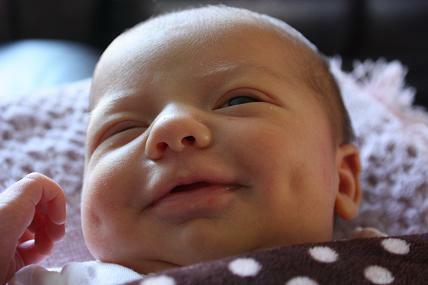 Baby Ashlyn is going to break hearts with dimples like these!!!! If you are not watching True Blood you need to be. Seriously…within the first 10 minutes I was HOOKED. Hooked to the point where I kind of got irritated that Mike had to pee and pause the show. “Couldn’t he have held it,” I thought. It’s on Sunday’s at 9:00 pm on HBO…you can go to HBO On Demand to get caught up. DO NOT MISS THIS SHOW!!!! And for all you people out there thinking you wouldn’t be into a vampire show…push it out of your mind…I was cynical and now I’m obsessed. I’m so happy!!!!! 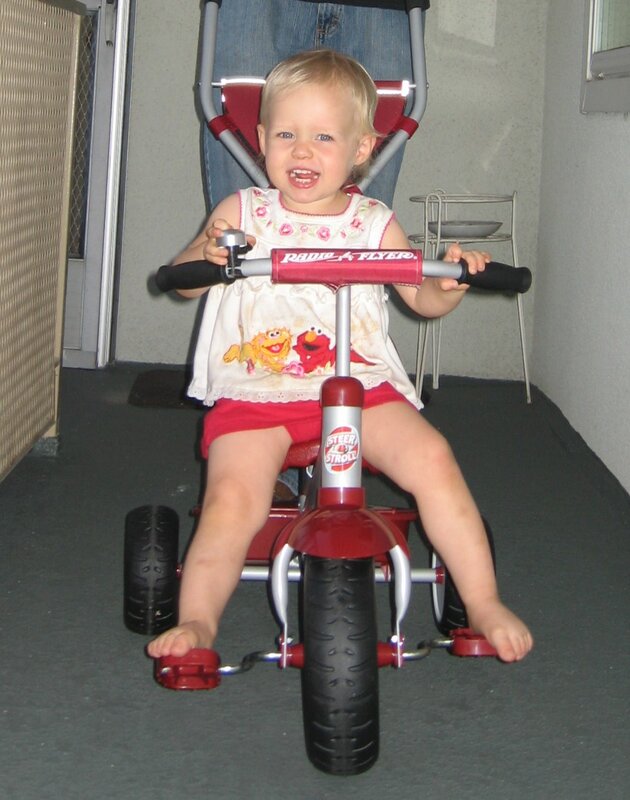 Look at me and my new tricycle!!!! Thanks so much Grandma and Grandpa!!!!! 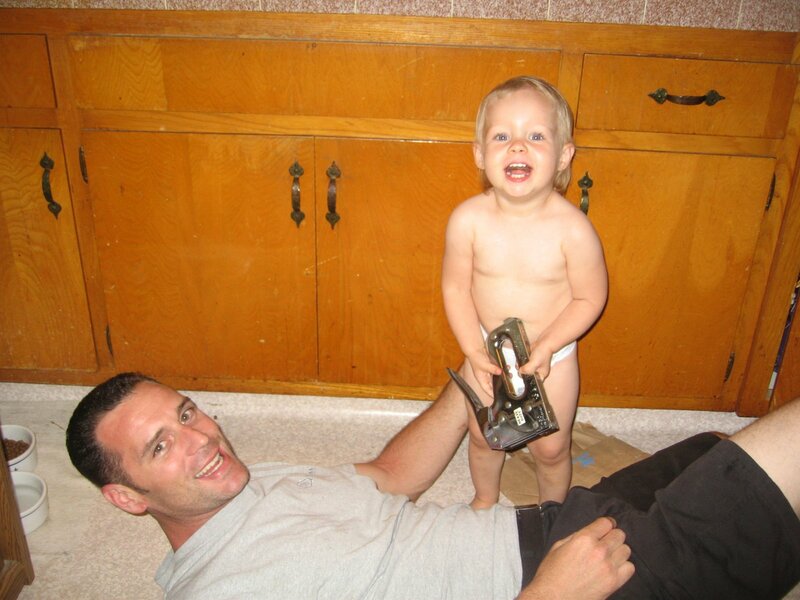 You know…Ava teaches me quite a bit of interesting things. Recently she taught me that you have to use what you have. Anyone remember the Erma Bombeck email that went around? The email about every day being a special day…not saving your perfume for special occasions? Well, Ava’s kind of like that on a much simpler level. 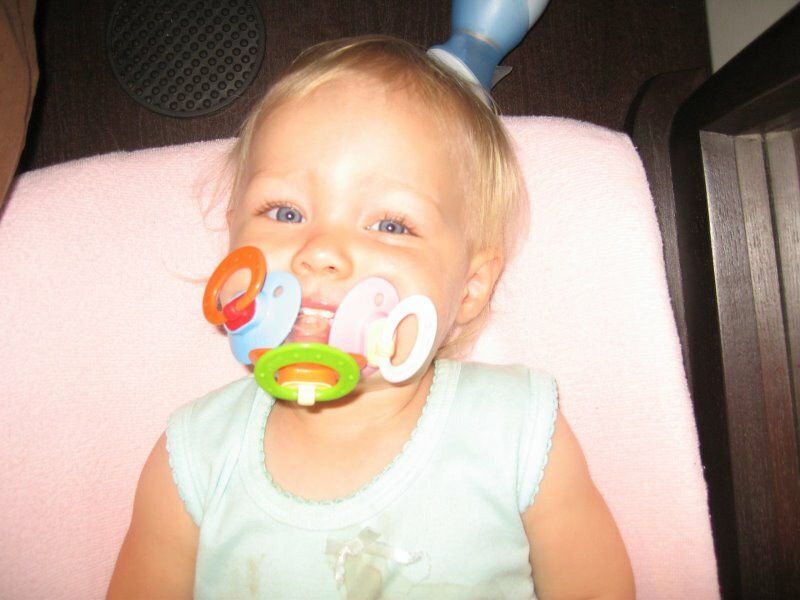 I mean…if you have 3 pacifiers, why only use one? Now, onto the next project!!! !